Real ale is back in fashion. Small, independent breweries are popping up around the country, but importantly in London, and are increasingly popular with a younger crowd. That said, it’s not a fashion that is likely to last long, so make the most of it before only flat cap wearing men called Bert think real ale is socially acceptable again. Seeing as you don’t have long to get to grips with real ale we will get straight to the point; ‘real’ ale differs from ale because it is still alive. This means it has more and better taste and is naturally carbonated, but also that it also has a shorter shelf life. Large, commercially driven breweries usually condition their ale which any enthusiast will tell you ruins it, leaving the good stuff to be produced with love and care by mostly small, independent breweries in it for the love of the drink. As Wychwood’s flagship beer and the UK’s 5th most popular ale, Hobgoblin is traditionally craft brewed using chocolate and crystal malts with a blend of Styrian, Goldings and Fuggles hops. Hobgoblin is a full-bodied, ruby beer that conjures up a wickedly chocolate toffee malt flavour, balanced with a moderate bitterness and overall fruity, mischievous character. In the heart of the Oxfordshire Cotswolds, the Wychwood brewery is located in the market town of Witney, near the ancient and mysterious Wychwood forest. A regular member of the Titanic brewery’s ‘fleet’, the award winning Iceberg is a very light in colour pale ale. It is brewed from Maris Otter pale malt and fine wheat malt. This is then combined with Yakima Galena and Cascade hops to give this wheat beer a citrusy, crisp, sinkable taste. Named in honour of local Captain Edward John Smith and run by two brothers in Burslem, Staffordshire, Titanic Brewery set sail on her maiden voyage in 1985 ‘to brew great beer locally for local people’. Pheasant Plucker is an amber – or blonde – ale and a favourite with real ale drinkers. Containing Maris Otter pale malt and Crystal malt, it is the late addition of Cascade hops that gives the beer a slightly spicy taste. The citrusy finish should stop any spitting of feathers. 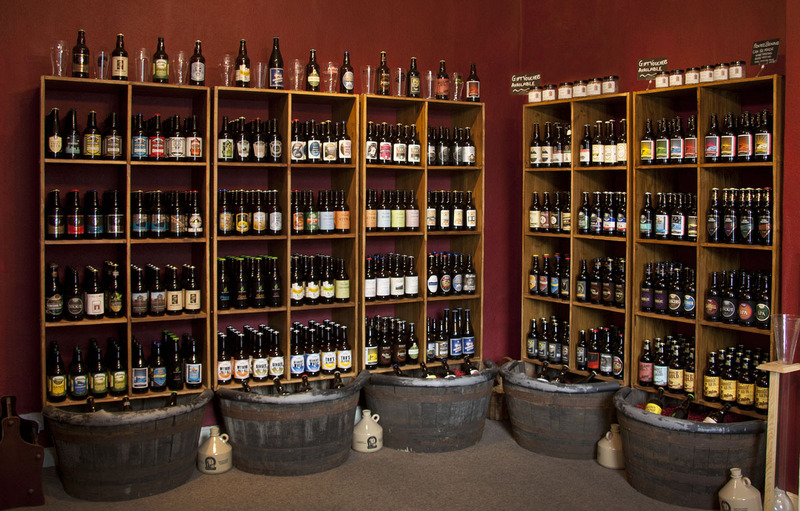 The Fuzzy Duck Brewery is one of the smallest independent UK breweries. It started as a half barrel (approximately 162 litres) plant in 2006 but is now an eight barrel plant based in Poulton-le-Fylde, Lancashire. Dark Side of the Moose is Purple Moose Brewery’s award winning, fragrant, dark ale. It has a deep, malty flavour from roasted barley and Bramling Cross hops give the beer a fruity bitterness. It is one elk of a beer especially enjoyed by those that usually appreciate darker beers and stouts. Purple Moose Brewery first started brewing in 2005 in the harbour town of Porthmadog, North Wales. The 40 barrel micro-brewery has already won several awards for its five core beers and speciality seasonal brews.